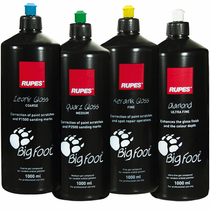 RUPES BigFoot Polishing Compound 1 Liter Mix & Match 4 Pack lets you pick and choose any combination of the four RUPES Polishing Compounds in coarse, medium, fine and ultra-fine aggressiveness at economical bulk rate pricing. 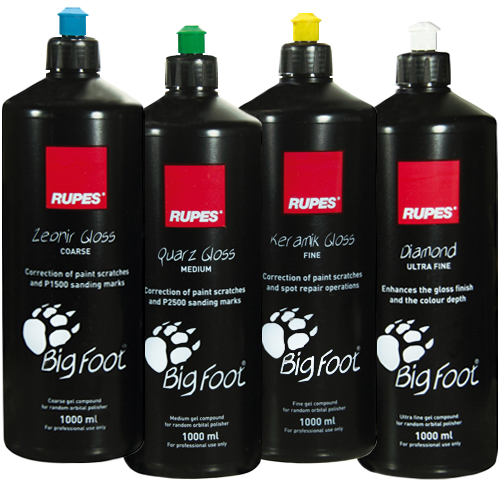 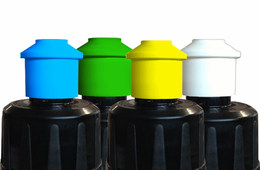 RUPES BigFoot Polishing Compounds high-performance, silicone free water-soluble polishing compounds have been formulated to work with RUPES BigFoot Foam Polishing Pads and the random oscillating motion of the RUPES BigFoot Orbital Polishers. 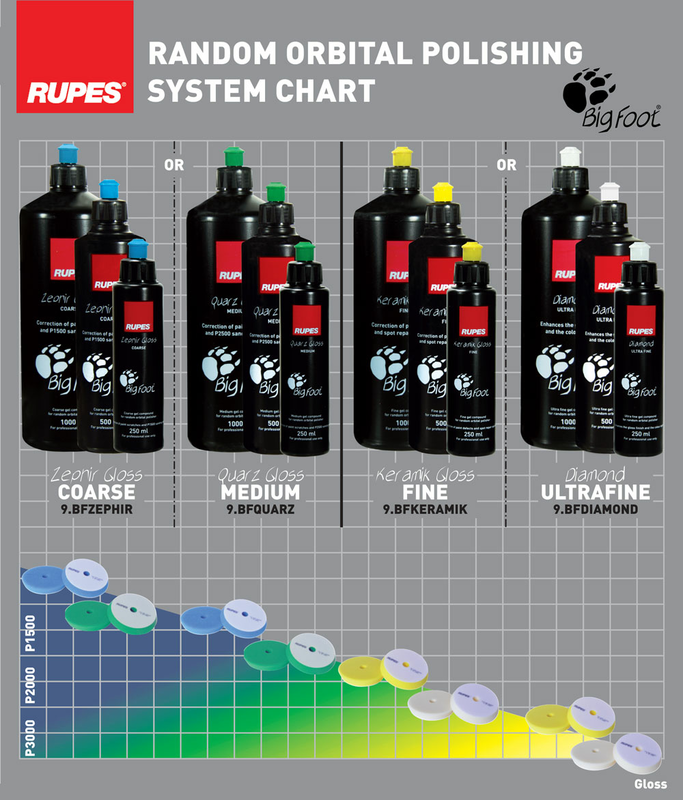 The innovative RUPES BigFoot Polishing Compounds are made with the perfect combination of aggressiveness and viscosity for RUPES BigFoot Foam Polishing Pads allowing even distribution to enable less compound consumption and downward polishing pressure for a superior correction abilities and final finish.